After ten years of failures, he has been back to success track with Gabbar Singh, which happened to be the remake of Bollywood blockbuster Dabangg which has been directed by Harish Shankar. Sruthi Haasan played the female lead and Bandla Ganesh produced the movie. The film was a smashing hit all over, and the actor has been signing back to back films. He then teamed up with Trivikram for Atharintiki Daaredi and the movie smashed all the records across Tollywood. Samantha, Adah Sharma, and Nithya Menon played the female leads, and he then teamed up with Venkatesh with Gopala Gopala, which too impressed the family audience. He has taken huge gap from acting, and he named his next film as Sardaar Gabbar Singh. The flick is not a sequel for Gabar Singh revealed Pawan Kalyan. Sardar Gabar Singh is said to be in pre-production for over two years, and Pawan has taken things personally for the talkie. He penned the story and the screenplay for the movie. The complete pre-production formalities took place abroad and Kajal Agarwal played the female lead in the movie. 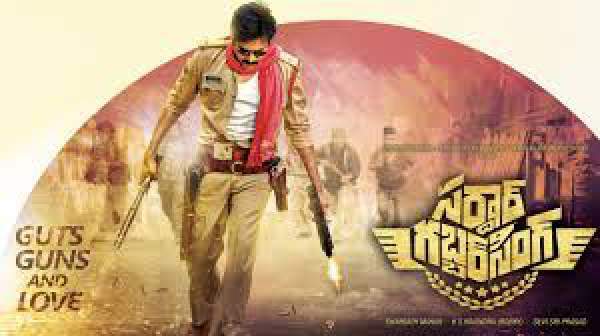 Sardaar Gabar Singh has been shot in over six months and the entire film has been shot in a set erected in the outskirts of Hyderabad. Devi Sri Prasad composed the music, and the audio of SGS is already a massive hit. Sharat Marar produced the movie on North Star Entertainments banner, and Pawan Kalyan presented the film on Pawan Kalyan Creative Works banner. SGS released all over on April 8th across the world, and the movie opened to packed houses all over. The collections have been quite high though the film received a poor response from the audience. The movie minted Rs 21 crores on its first day, and the collections of the film dropped down severely on its second day. The flick collected Rs 5.5 crores on its second day and the poor word of mouth had an enormous impact on the movie. The flick managed to stay steady on the third day, and it collected Rs 6 crores across the country making the weekend total reach Rs 32.5 crores.